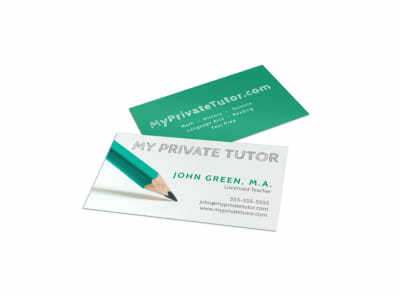 Customize our A+ Tutoring Business Card Template and more! Network among math-challenged students with this business card to promote your A+ tutoring services. Use our online editor to personalize design elements such as colors, font, graphics, and more. Point-and-click to insert elements you like most, and then print your business card from anywhere or trust us with the task. Begin now!